There is a buzz of excitement in the air that many people world wide become completely engulfed in right now, the Olympic Games! The excitement of representation, new champions being born and energy stirs a lot of emotions in all of us that watch the games. A word that resonates with me when I think about the Olympic games is Gratification, this response of fulfillment to a desired goal. The idea of gratification is part of The Human Condition, among other defining properties, gratification is a word that describes a feeling we as human beings are after and want as a part of our life. When I look at the Fitness industry and what happens in our environments, a lot of what we do each day is trying to tap into the human condition to yield a response of gratification. When you exercise you feel good! 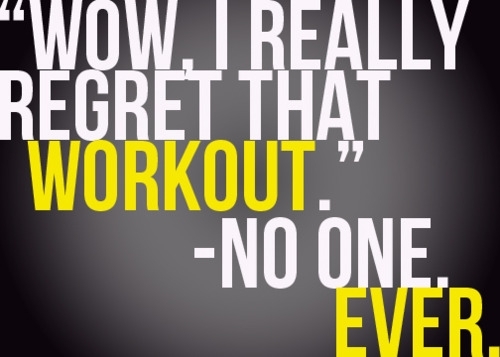 I saw a fun quote on facebook the other day and the tag line read "I regret that workout, said no one, ever". So knowing we have all this power to leverage such intense emotions out of our members and clients, how are we using that power to our benefit to change their life? what environment are you creating to evoke an emotional reaction of gratification in your members? I was at a facility last week in Tulsa Oklahoma that displayed a dynamic example of exactly what I am talking about and tied the Olympics in perfectly! The facility management team had identified an opportunity to increase member engagement over the summer months, since historically they have lower check in rates in the summer. They decided to hold their own version of the Olympics to spike member participation of check in frequency over their slower months. As you can see in the photo below, the participation (voluntary) was very high. Each time a member checks in, they receive a star, I witnessed 4 check in's in the middle of a Thursday afternoon, and saw requests from the members to the front desk that they needed their 'star' added to the competition for that day. The executive at the facility I spoke with said they have a lot excitement around the initiative and all the top competitors go into a drawing for a loot of a prize. My point in this? this is an example of pulling on the heart strings of the human condition and finding a way to involve your members on a deeper level. This facility recognized an opportunity, looked at what is going on in the world around them, and cleverly came up with a way to tie it all together to produce excitement within their four walls. Seems simple enough, but how many of us look at putting our time and money into the member experience when trouble shooting revenue obstacles within the fitness biz? As always, thank you for participating in my blog posts, and please let me know, Lindsey Rainwater, what you do at your Fitness Center to provoke a gratifying experience for your members. Bright Spots and Lasting Impressions.